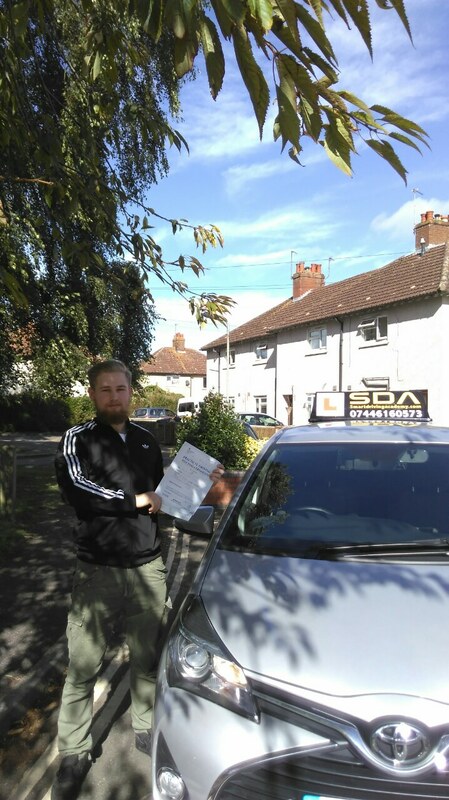 Here at SDA, we offer some of the best Value driving lessons in the Oxford areas. 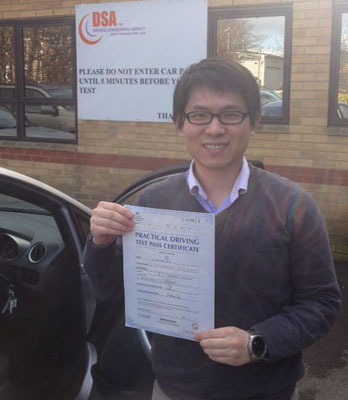 With high first time Pass rate at both practical and Theory tests we will save you both Money and time. Each lesson lasts full designated hours, with one to one tuition, and we don’t make our pupils drop off previous pupils home. Our driving school offers intensive driving courses as well as individual driving lessons. For more information, to book a lesson or for an informal chat give us a call on 07446160573 or book online. Please bring your correct driving license or if you have an old style license you will need a valid passport as identification. Once you have booked your lesson or course the lesson must be completed as originally allocated, otherwise you will lose your fees unless 48 hours’ notice of cancellation is given. If a test is cancelled or moved to a new date by DVSA the school cannot be held responsible for any changes. Deposit fees are paid in advance and are non-refundable without an acceptable explanation. The value of the vouchers or special offer is fixed at the time of ordering and can be used just once. There could be additional fee due if the voucher does not apply to you. *For more terms and conditions please contact Smart Driving Academy*. I had a very good instructor , from SDA who taught my brother and my other relative few years ago. I passed my Driving test first time with SDA. I definitely recommend who want to pass quick and first time. 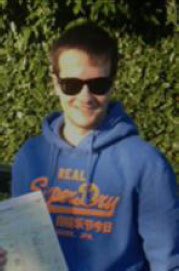 I have passed my driving test recently with SDA . I had very experience Instructor from SDA oxford. My driving Instructor was very relaxed during the lessons. 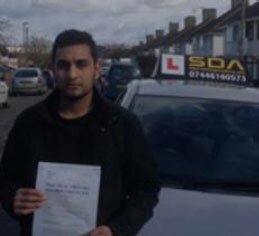 I am very happy to recommend SDA Driving School in Oxford to anyone looking to learn to drive. I loved my lessons and actually miss them now they are over! I felt very relaxed with Hafeez and he gave me the confidence I needed and had a very calm manner in which he taught and we always had a laugh together. I passed my test first time and with only 3 minors! I'm delighted!? . I was really happy with my learning experience with Smart Driving Academy. 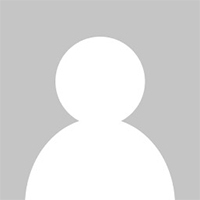 I had never driven before with another driving instructor but wasn�t sure how many lessons I would need to get to test standards. I was surprised at how few lessons it took for me to pass my driving test and I Passed first time too. I also moved house while I was learning but Hafwz my driving instructor was very flexible and didn�t bat an eyelid about picking me up from my new place. Fantastic, I just passed my test with only 3 minors. SDA has a great instructors who helped me to understand everything I needed to do. When I struggled at first to get things right they were so patient and calm and gave me confidence. They always seemed to have a useful diagram or a picture on there iPad that helped me to understand things! 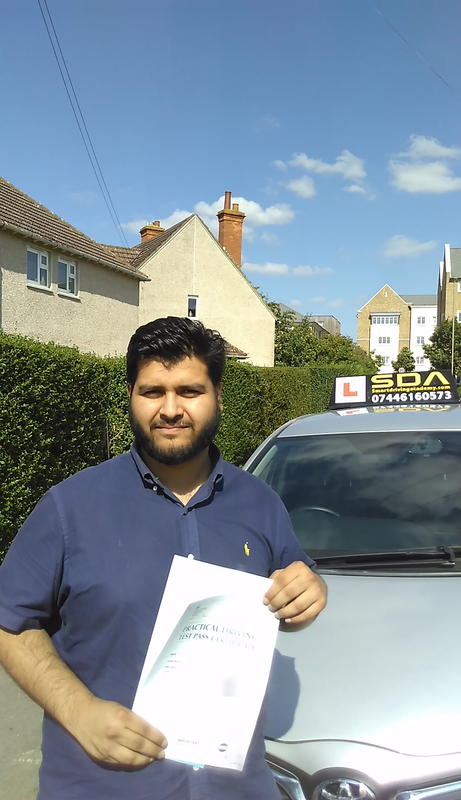 I really enjoyed learning to drive with them so if your looking for driving lessons then I recommend you give SDA drivin school in Oxford a call or check out his web site.? 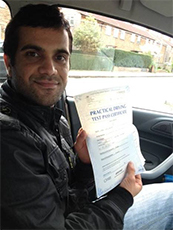 I feel really great after recently passing my driving test and can honestly say that I would not have done it without the help of Hafeez at Smart Driving Academy in Oxford. All through my learning experience, I looked forward to & loved every lesson. I found the SDA driving school Oxford website on the internet and I was attracted by the competitive pricing but was also impressed with the high quality of the company and the reviews. The whole experience far exceeded my expectations. 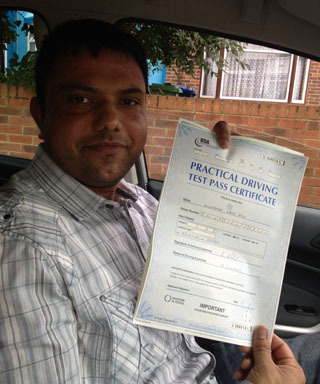 I found my driving instructor Hafeez to be helpful, calm and informative, he really put me at ease. 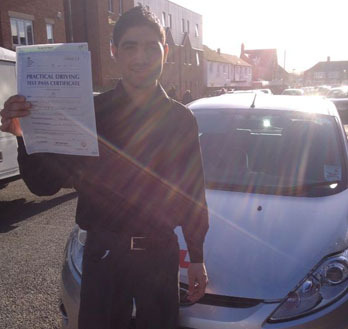 I would definitely recommend Smart Driving Academy and Hafeez to anyone looking for driving lessons. 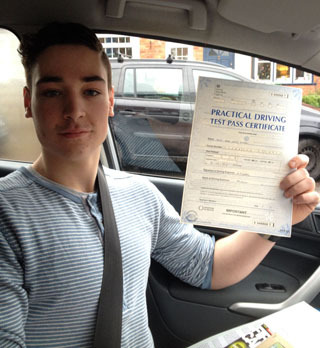 You can�t argue with results, I passed first time! I passed my test first time today. I was taught by instructorHafiz & couldn't have passed without him. 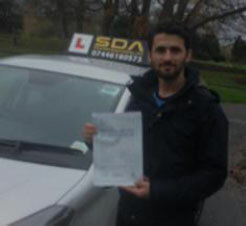 He is calm & patient,and always reassuring SDA friendly personality made the driving lessons feel more at ease and comfortable. Once again thank you from SDA in oxford . I passed my test today . 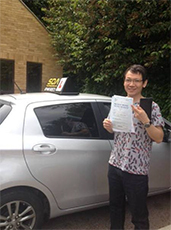 I was taught by SDA oxford & I do not think soo I passed my driving test without their help.My driving Instructor was very calm & patient,and always reassuring friendly personality made the driving lessons feel more at ease and comfortable. I would like say a big thanks from SDA in oxford. I have just passed my driving test with SDA without any fault. My driving Instructor was very friendly and patience. I have passed my driving test first time with two driving faults and I really enjoy driving with smart Driving Academy thank you for my driving instructor to help me to drive thank. By nature I am an impatient and slightly rash person, I would previously been with an instructor that could not adapt to my personality and my way of learning and so I had to change to hafiz at the smart driving academy. 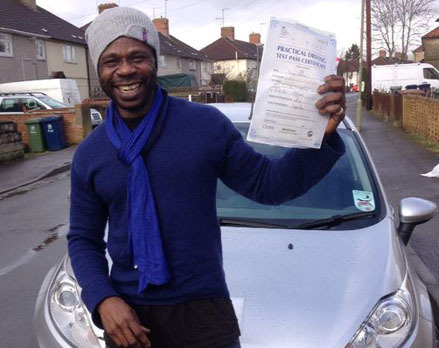 I could not recommend him more I passed first time with an intensive course. 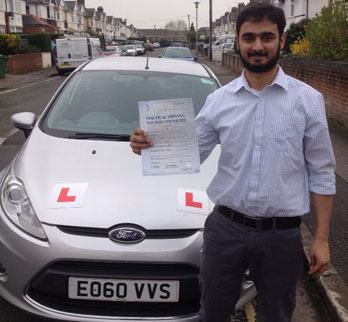 Hafiz is polite, understanding and very knowledgeable on how to pass and be a safe driver at the same time. He covered everything proffesionally and Was very tolerant and nice when I made a mistake , if you want to pass first time please use this driving school. 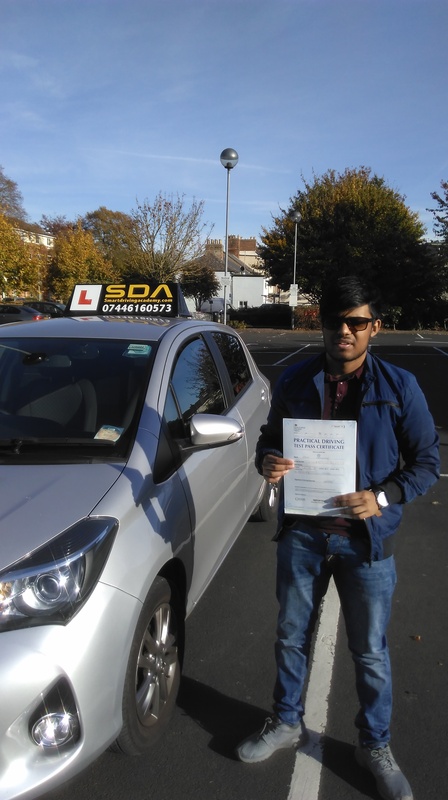 "I have passed my driving test first time with five driving faults and I really enjoy driving with smart Driving Academy thank you for my driving instructor to help me to drive thank." i am very pleased from SDA (Smart Driving Academy) is indeed an actual academy which practices and specialises in making its pupil smart and accurate drivers. I passed my driving test first time passed and my driving instructor was very patient and kind. I am very happy that i have passed my driving test with Zero (0) fault. My driving instructor was very smart person he always though me very skills very clearly. once again i would like to say a big thanks form smart diving academy in oxford. i always strongly recommend my friends and family member to pass time with smart diving academy. 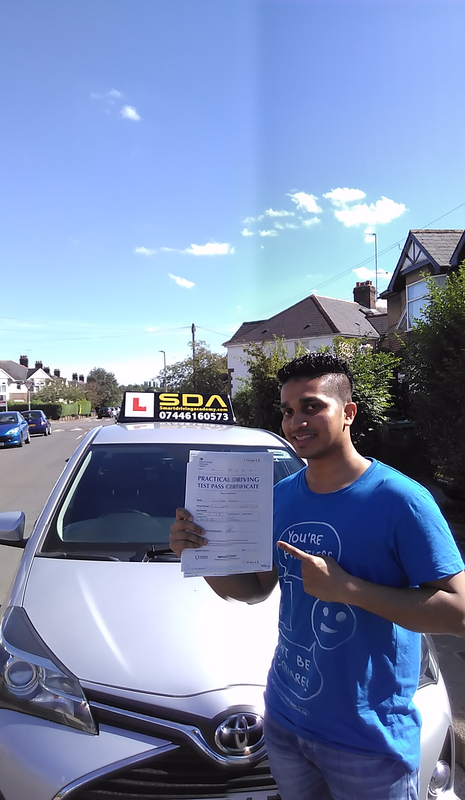 I had absolutely no driving experience but in less than two months SDA helped me pass my test first time. My instructor was calm and straight-talking. He gave me regular and fair assessments of my development and there was never a hint of trying to get more money out of me, just professional expertise and honest support. I'd highly recommend SDA. A Great experience with SDA instructor and a lot of fun.I would recommend anyone want to passed driving test first time and safe drive for life.